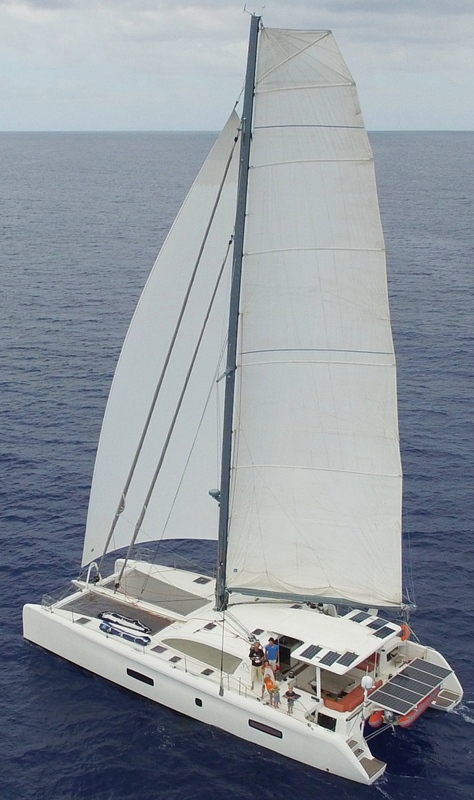 The Outremer 5X is unlike any other large performance catamaran on the market. At a length of just under 60ft and a width of nearly 29 feet, the Outremer 5X is a fast, powerful, and seaworthy yacht with finely finished cabinetwork, spacious accommodations and with excellent payload carrying ability. She is a fast and agile catamaran, whose deck is so well organized that even a single person can handle every manoeuvre. Her retractable, high aspect ratio daggerboards assure not only great pointing ability when sailing upwind, but also a shallower draft which permits access to even the smallest and remote anchorages. The interior is clean, elegant and smart. Her modern and open-space interior offers unrestricted views and functional comfort. On the owners’ version, the port hull suite includes a king size bed (2 x 2 meters), a superb “sea-view” port light, an office and a separate private entrance from the stern. A 4-cabin version and an owners’ version with crew cabin are also available. 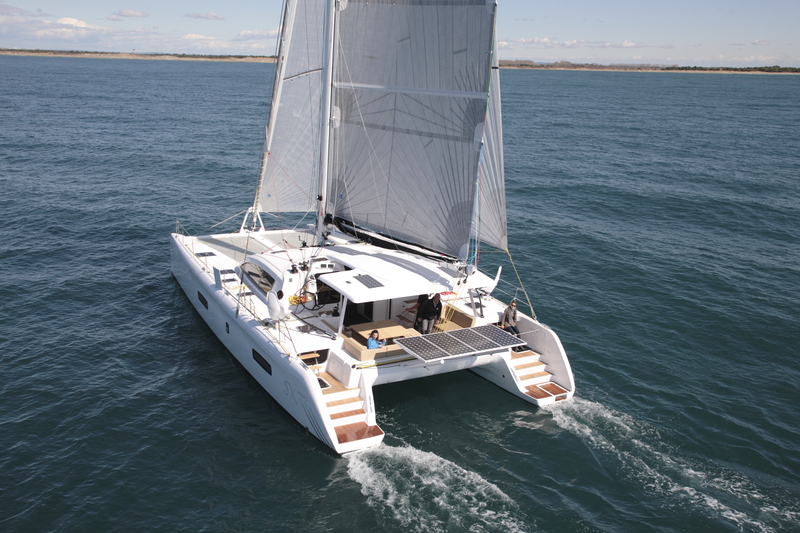 The Outremer 5X catamaran is the ultimate production performance catamaran in her class. As a full production boat (with semi-custom interior) she is built in a consistent manufacturing process, assuring precise construction, reliability and excellent factory support – all at a very reasonable price tag. The design is just as appealing as its performance, convincing journalists from 11 countries to elect her as “European Yacht of the Year 2013” and Cruising World ‘Boat of the Year’ 2014. Elegant, fast, smooth and reassuring. This is the new flagship of Outremer Yachting: The Outremer 5X. Offering balance and serenity, this catamaran has been designed to satisfy even the most demanding connoisseurs. and the designing of exceptional yachts. Design Manager for Renault Management Committee for over 20 years. Patrick has been voted European Designer of the Year 7 times and has also received the Lucky Strike Design Award. He has put all his experience into designing the Outremer 5X so that it is emotionally appealing. Michel Desjoyeaux is the French sailor with the longest list of awards. Particularly when it comes to solo races, notably being the only double-time winner of the Vendée Globe. “Le Professeur”, as the French like to call him, has put all his knowledge into designing a deck layout which offers maximum efficiency even when sailing with a small crew. Franck Darnet, a trained designer, has also spent a year sailing with his family. This allows him to design interiors which excel in terms of practicality and ergonomics. Please fill in your details below and we will get back to you shortly with a detailed info pack on the Outremer 5X, including a brochure, specification sheet and pricing information.